Golf trips, football supporter’s buses, race meetings, tours of the local area, tours of the Scottish Highlands and shopping days. It is an invaluable service for many organisations wishing to transport large groups of people in and out of the major Scottish cities like Edinburgh and Glasgow. 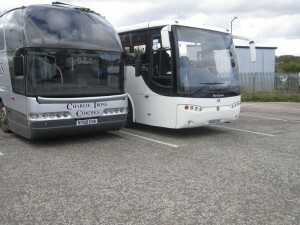 Remember to plan ahead and contact us as soon as you can with your coach travel dates so you are not disappointed.